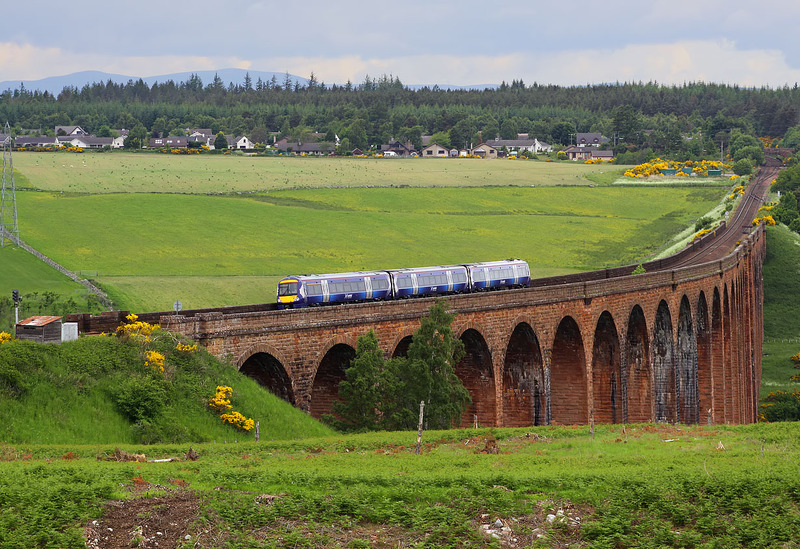 170452 crosses Culloden Viaduct on 25 June 2013 with the 1T98 08:45 Inverness to Glasgow Queen Street ScotRail service. The severe gradient leading onto the viaduct can be seen in the background, with the site of Culloden Moor station just visible at the top of the bank. The hamlet of Newlands of Culloden lines the edge of the forest in the background.